From cohousing architect Brad Gunkel: Another unit is for sale at the Bay Area's first cohousing neighborhood. 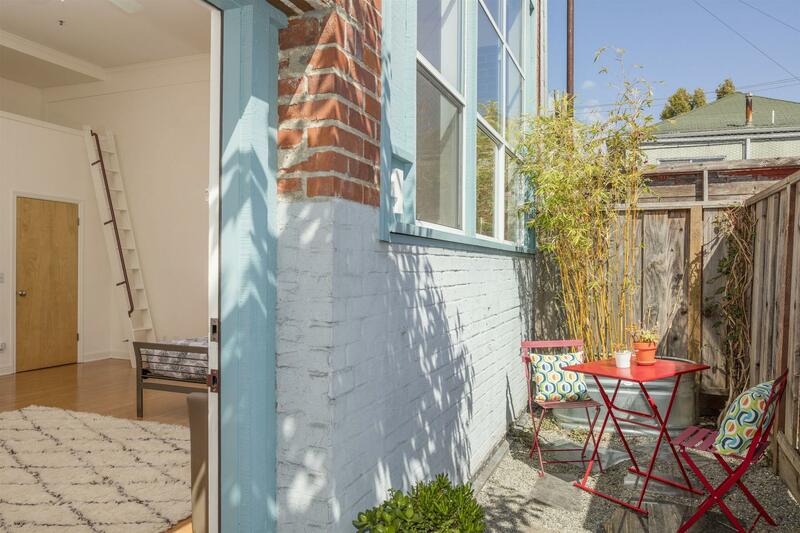 Unlike the last one on the market, this is on the ground floor with a private rear patio. 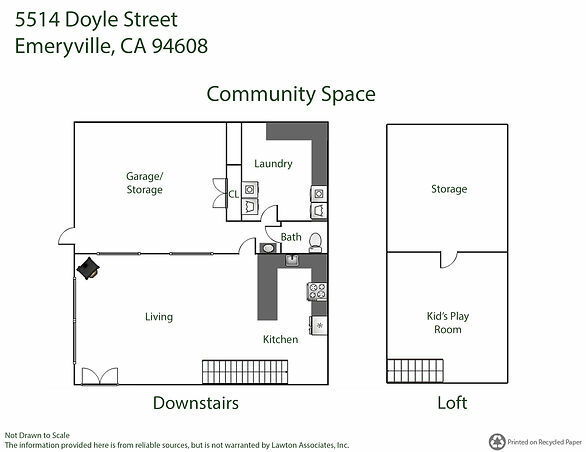 The Doyle Street Cohousing Community (an EBCOHO Supporting member community) consists of twelve units, located in desirable Emeryville (across from the Doyle Street Cafe). Once a warehouse, this charming brick building was converted in 1992 into a stunning residential paradise, set in the midst of urban convenience. RSVP on this page for Saturday, September 24. For Sunday the 25th, RSVP here. Yes, you have your own kitchen. A pretty cool one! 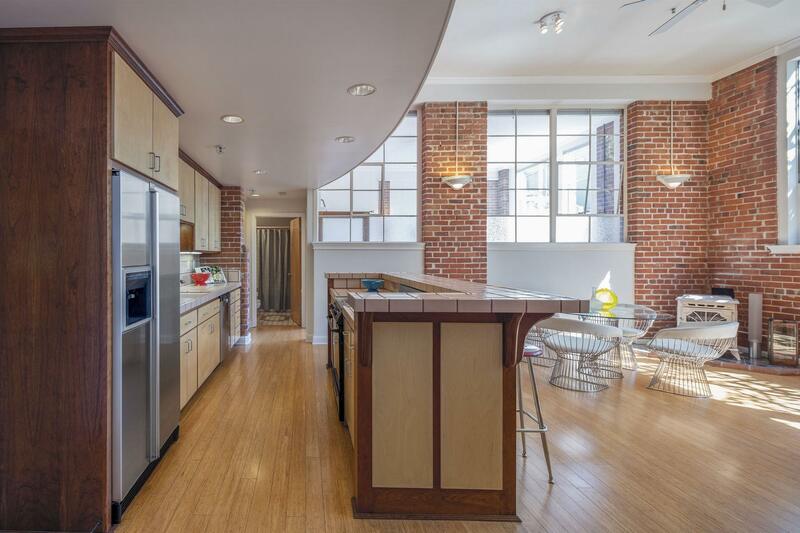 Industrial-chic warehouse condo in highly sought Emeryville co-housing community! 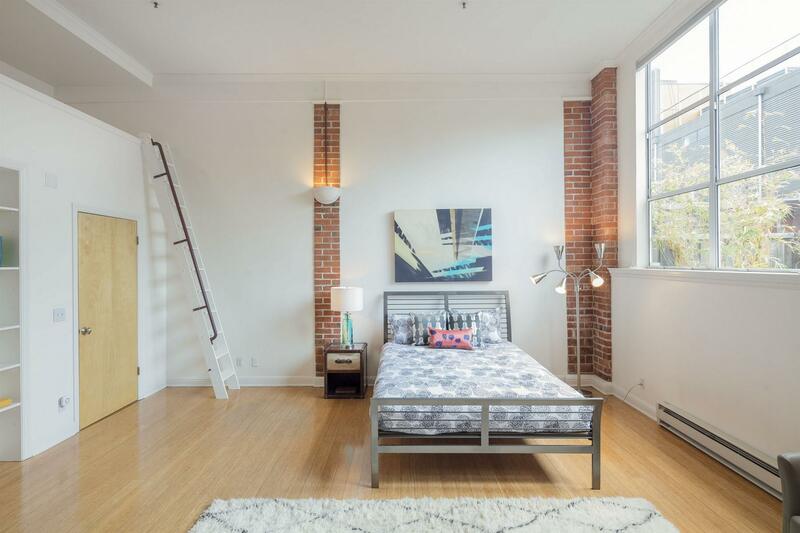 This two bedroom, two bathroom converted factory boasts 13’ ceilings, exposed brick elements, bamboo floors, open concept flow, private patio and special community amenities. Each bedroom additionally features a loft area that has been used for media space, guest bedroom, meditation & yoga room, and storage. Contemporary design meets industrial-chic in this exceptional converted warehouse condo. The open floor plan allows the entire home to be a flexible space, and fully customizable, making it the perfect space for work/life balance, as well as for entertaining. The great room sits between the two bedrooms, and encompasses the living room, dining room, and a spacious kitchen with bar seating. The private patio is accessible from the guest bedroom. This particular unit was privately custom designed by its owner when it was originally converted from a factory building, giving it distinctive amenities & charm. The interior features crown molding, tiled bathrooms & kitchen, and distinctively maintains its original factory windows. Additionally, this unit uniquely benefits from Passive Solar light, simply from its perfect site orientation. There are also fans, and a pellet stove for added comfort & convenience. Although both bedrooms are generally the same size, the master bedroom features an en-suite bathroom with custom tiled floor, stall shower, and plenty of storage. The bedroom boasts a walk in closet, gracious windows, and loft with shoji screens for customizable light and privacy. The unit has plenty of storage, but there is also a communal storage space. Other community amenities: clubhouse, workshop, hot tub, kids play area/playroom, BBQ, fire pit, designated parking spaces for each unit, and a communal patio. Location is within a mile to shopping, cafes, parks, schools, and public transit. The Common House is the main meeting spot for group activities. The fully-equipped kitchen has residents cooking and sharing a meal three nights a week - a great opportunity to meet your new neighbors. Upstairs, there's a kid’s play area complete with a new foosball table. Own a bicycle? 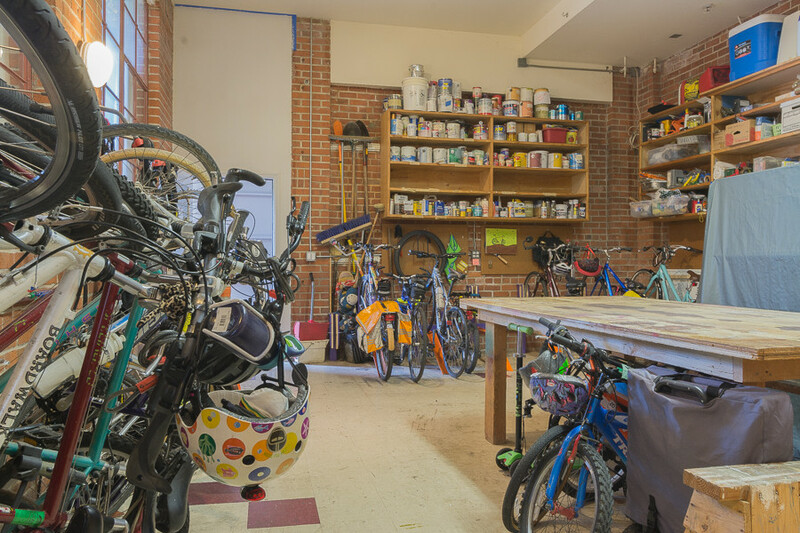 You'll be happy to learn about the big storage room, full of bikes, plus work benches for small projects. There is a shared laundry here, as well. The communal area extends outside with a patio, garden and shared gas barbeque. Children will love the outdoor play area, and everyone can enjoy the hot tub. A silent fountain and new ping-pong table add to the fun! Projected list price in the 700k's.